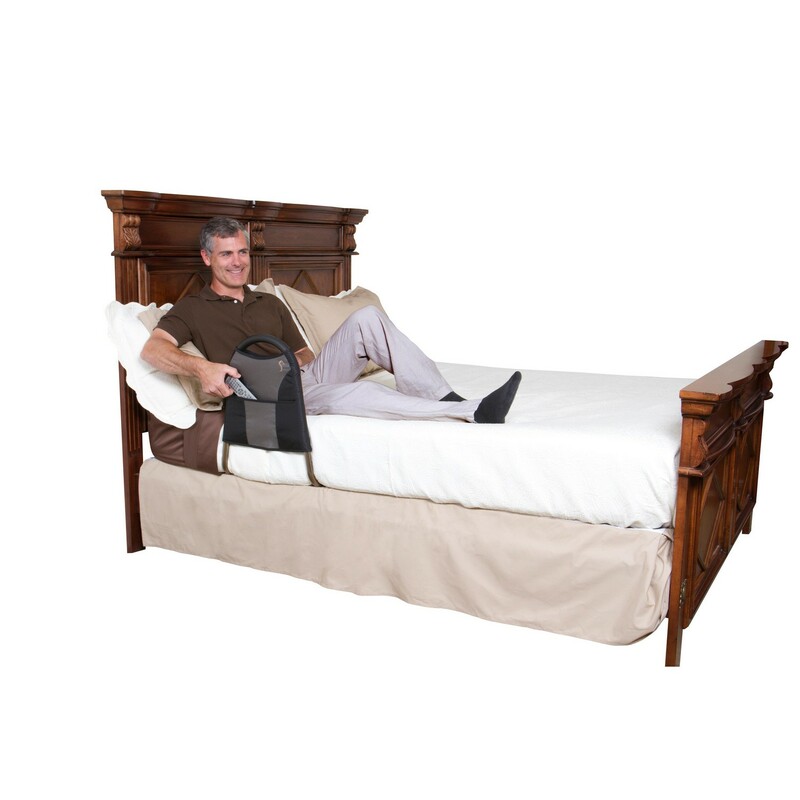 Full-Size Cushion Handle - Allows for easy transfer in and out of bed. 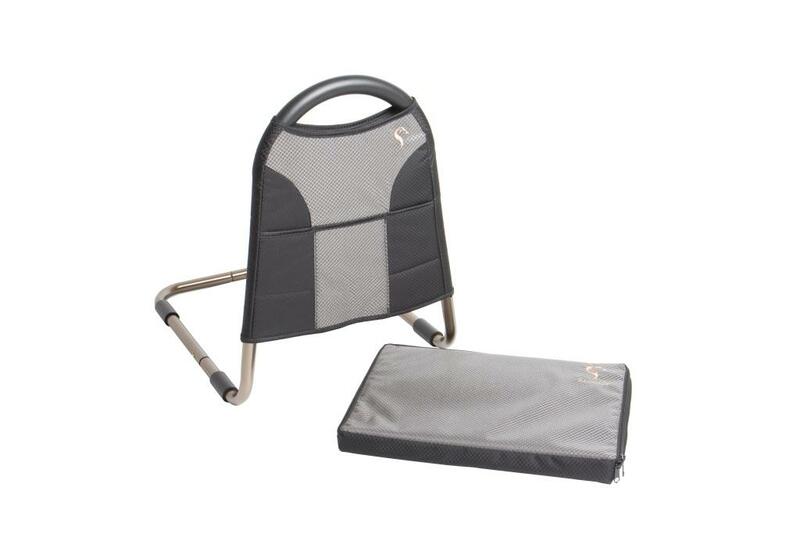 Lightweight and Strong - Made of Aircraft-Grade Hardened Anodized Aluminum, weighs less than 2 lbs, supports 300 lbs. Snap together assembly, no tools required. This is the smallest, most affordable bed rail on the market. 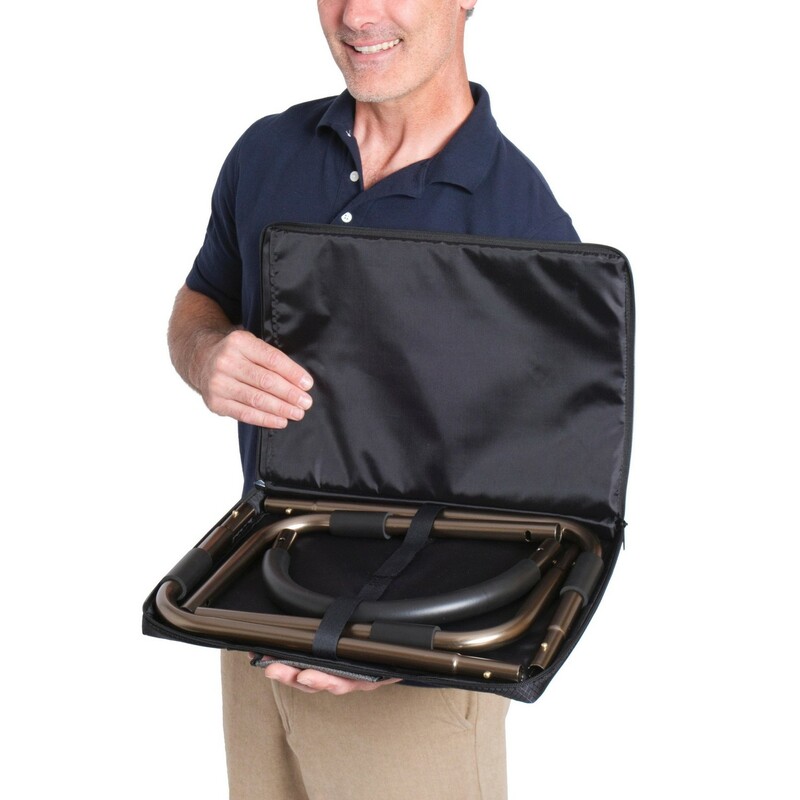 Made of aircraft-grade, hardened anodized aluminum, it weighs less than 2 lbs, and supports over 300 lbs. 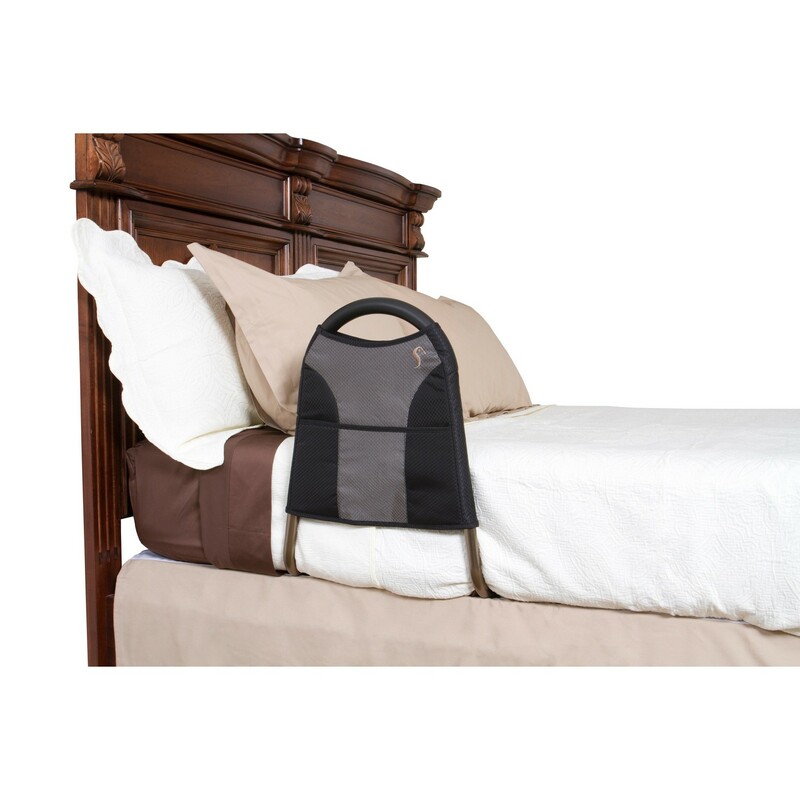 The full size cushion handle allows for comfortable transfers in and out of bed. The Econorail includes an organizer pouch to keep items handy, and a carrying case to use for travel when collapsed. The Econorail can be installed on any home or hospital bed. 4-Pocket Organizer- Provides storage space for handy items. 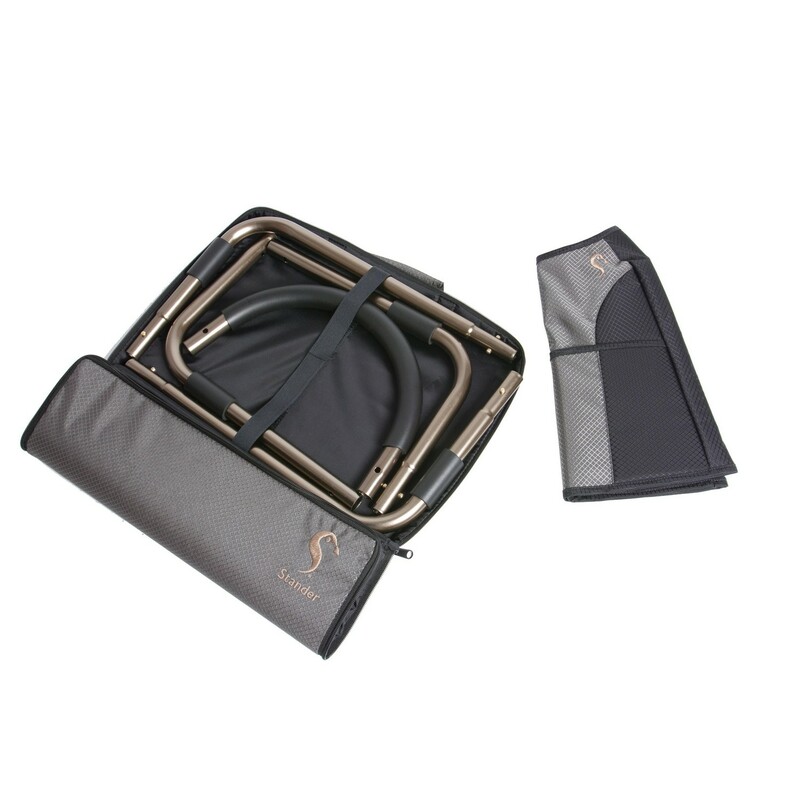 No-Slip Grips & Safety Strap - Secures rail in-between mattress and bed frame. Universal height and accomodates any home or hospital bed.